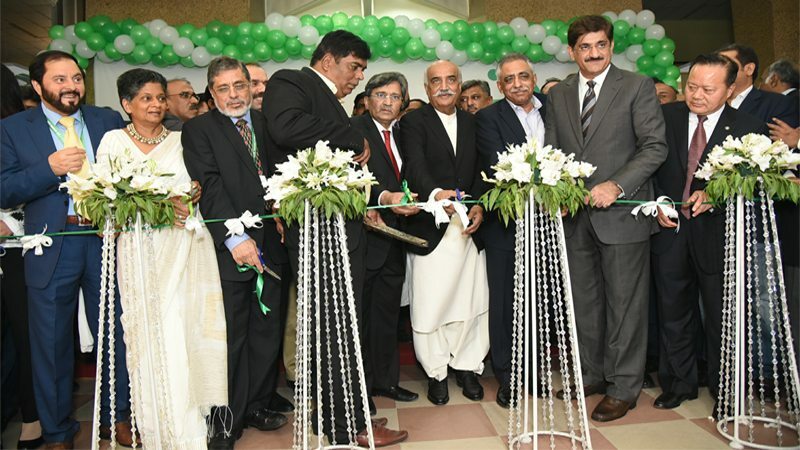 The Expo Pakistan 2017 was jointly inaugurated by Commerce Minister Pervaiz Malik, Leader of Opposition in the National Assembly Khurshid Shah, Sindh Governor Muhammad Zubair and Sindh Chief Minister Murad Ali Shah at the Karachi Expo Centre on Thursday. 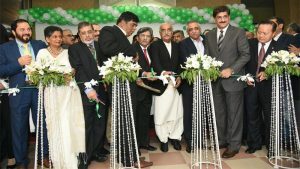 This year Pakistans leading brands like Chen One, Sitara Textile, AHAN, State Life Insurance, ARY Jewellers, Pakistan Stone Development Company (PASDEC), Pakistan Software Export Board, Big Bird, Japan External Trade Organization (JETRO), Pakistan Hosiery Manufacturer Association and others set up their stalls at the expo. Fashion Council Pakistan along with top designers including Amna Aqeel, Amir Adnan, Deepak Perwani, Huma Adnan, Hassan Riaz, Maheen Khan, and Mohsin Saeed showcased their latest collection at Expo Pakistan. Afterwards, Commerce secretary along with TDAP secretary held meetings with business delegates from Germanys Metro Group, British High Commission, Ali Baba and China. Also, meetings of different delegations were held with top businessmen of Federation of Pakistan Chambers Of Commerce, Industry and Karachi Chamber of Commerce & Industry and businessmen of other trade sectors. The exhibition will conclude on November 12.